Rancho La Puerta is located in Tecate, Baja California, Mexico. 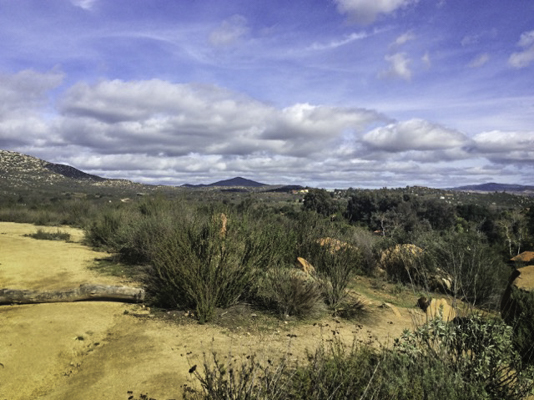 It borders San Diego; however people travel from all parts of the country to experience “the Ranch,” and while they arrive for a variety of reasons, guests will tell you that they always leave recharged, refreshed, and renewed physically and mentally. My raison d’etre was to accompany a guest lecturer, who has raved about “the Ranch” for years. Living in Northern California, home of Esalen and Tassajara retreat centers, I thought she might be exaggerating just a wee bit. She wasn’t. 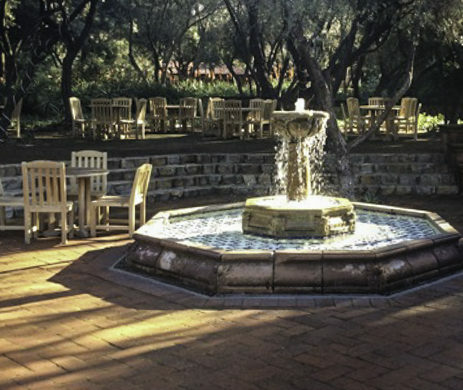 Whether coming for a specific workshop (several are offered daily and change weekly) to drink in the bucolic tranquility, disconnect from the virtual world, a spiritual tune up, the famed food, spa treatments, hiking, or the myriad health classes, one is instantly struck by the stunning physical beauty and immensity of the 3,000-acre grounds. Sculptures and artwork surprise as do quaint courtyards and great-grandfather vines that gracefully twist into trellis’ along pathways, each designed to marry necessity to nature. Several serene ponds invite warblers, wrens and finches, and then there are the people, the potpourri of interesting strangers that serendipitously bond, and a staff who functions as one big family, many whom have worked at “the Ranch” for decades. Strolling to my room, I felt an overwhelming sense that love landed here, mingled with a philosophy of health and blessed by nature’s handprint. It all started 75 years ago with an exotic vision. 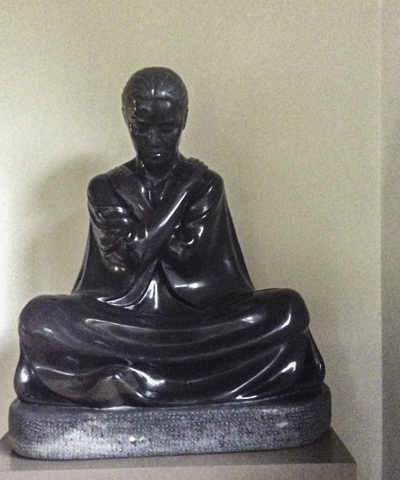 Deborah Szekely, and her late husband Edmond Skekely (“the Professor”) founded Rancho La Puerta in 1940. Isolated by World War II, and a lack of money, the guiding principal of the retreat was a simple faith in the value of living in harmony with nature through food and fitness. Of course, it was as alien back then as it is mainstream today. The first guests pitched tents and paid $17.50 a week. Nine years later, the facilities had grown to provide small housing units with an increase in fees to $25.00 a week. The original small white casita still stands for visitors to see, but today guests choose from solo roomy studios, haciendas replete with fireplaces to two-bedroom villa suites, all spacious, elegantly furnished Spanish-style and designed as a sanctuary of relaxation. 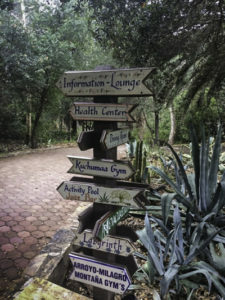 Directional signs to information, health and activities… where to go first? Rancho La Puerta is renowned for its fitness classes, workshops and lectures, all given by experts in their field. With approximately 50 fitness classes and a bevy of different workshops to ponder, the question is where to begin? The best place is to comb the schedule of all the weekly activities that come with check in. I did not want to fill up my day with activities as I tend to do in my daily life. Rather, I wanted a balance between heart thumping workouts and gentle joint and muscle activities, workshops and an occasional lecture as well as exploring the vast grounds. Because of the spacious grounds and pathways, beautifully carved sign posts assist with the direction. 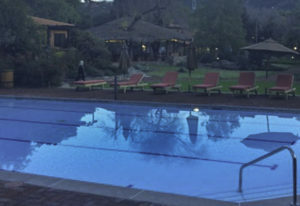 Though Rancho La Puerta houses three capacious spas, one can easily spend a week here and never step into either because there are simply so many other options. Evenings offer a crackling fire in the main lounge with tea and a good read; warm afternoons afford time to stretch out in a gentle exercise class or lounge around one of the three pools before taking a swim. Time has a slower pulse at “the Ranch” yet I found a harmonious balance that worked for me from sinking into serene peace in a hammock to early morning hikes–there are 12 hikes to choose from daily. They range from the Dove trail, a gentle climb winding to Kuchumaa Passage, the Organic Garden Breakfast Hike, a 4-mile trek over rolling hills to La Cocina Que Canta, the culinary center and 32-acre organic garden complete with breakfast and a garden tour with the resident horticulturist, to a more strenuous 5-mile Raven hike straight up a mountain. If you’re not a hiker, there are walks conducted by resident staff, all professionals in their fields from art, history, landscape, gardens, and bird walks, or one can choose to hike or walk solo. I joined the bird walkers, and learned about migrating birds and how climate change is affecting their habitat. 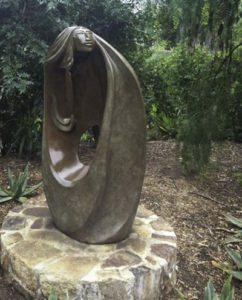 Another afternoon, I took an enchanting art walk visiting museum-quality Mexican folk art and contemporary sculptures on display throughout the Ranch. My one regret is that I did not schedule one of the art classes in the beautiful art gallery and studio. Some guests come to “the Ranch” with a very specific intention–to optimize health, to participate in a certain workshop, to hear a guest lecturer, to take a cooking course, or simply to be mindfully embraced by beauty and quiet. The morning meditation class met overlooking a vast emerald meadow, and it raised my vibrations and focus enough that I decided to give some of the more active classes a whirl. I did not do cardio boxing, but I did do cardio drumming, a serious workout using plastic barrels, plastic drumsticks and high energy music. The instructor choreographed a serious of steps with the class as we banged on our barrels like Keith Moon or Phil Collins, sweat pouring down our faces, hearts thumping, and laughing like loons. I waited a day before stepping into the Hot Latin Dance class with Manuel, a dazzling experience. This is hip swaying at its finest; it puts Shakira to shame, and it was fabulously fun, even though several of us took very long water breaks. To be honest, I’m not in my 20s, 30s, or 40s, and while my mind and brain were in an exalted state, my muscles required tender loving care. I booked a body scrub to ease tight muscles, and another evening I pampered my muscles under a marmalade sunset in a Jacuzzi. I slipped into a tub of warm bubbles, watched three red hawks circle in the distance, sipped chilled water and contemplated a gentler course of classes. I selected Gyrokinesis. Sitting on a short stool, feet flat on the gleaming wooden floor, I utilized small movements of the spine in circular or spiral movements, while at the same time building respiratory strength. After the drumming and dancing, the idea of sitting and exercising appealed, and though Gryokinesis works at releasing tension, it’s a good, strong core strengthener. And then there is the delicious dining experience that I partook three times a day. 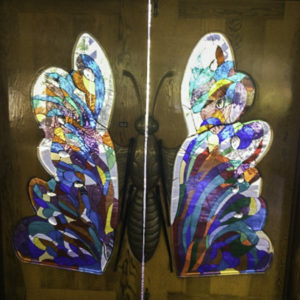 Rancho LaPuerta has retained its wonderful culinary roots of blending creativity, freshness, healthful dishes, and the gathering of people to share meals around large tables. It is the number one destinations for wellness, and one of its top priorities is food-preparation, dining and choice. The culinary atmosphere is a complete feast of the senses from food to friendship. The 32-acre organic garden supplies the kitchen with a bounty of ingredients used to create each delicious meal. Breakfast and lunch are self-serve, always with ample options, and dinner is a seated affair, though casual, where guests are seated with different people each evening. Conversations arise spontaneously over meals, as do friendships. Eating becomes an enriching, leisurely experience, people linger and relax, much as they did at the beginning 75 years ago. On the last day of my stay I sauntered over to The Montana gym, flush with natural light from the floor to ceiling windows, and a view of vineyards. It was the perfect space for my last class of yoga sprinkled with a slight spiritual brush. I walked out full of grace into the sunlight, under grandfather vines, and savored one last walk. 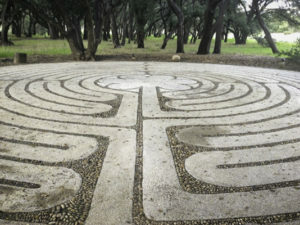 I could not leave “the Ranch” without walking the labyrinth, cradled by wise old oaks with a view of the valley below. 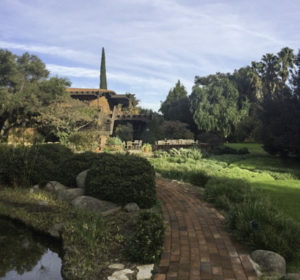 Evolved from the spiral forms in nature, the path is a classical eleven-circuit design, a metaphor for our journey through life, inviting us to find all we seek on our journeys-the perfect definition of Rancho LaPuerta. IF YOU GO: See also Rave Reviews for Rancho La Puerta’s La Cocina Que Canta . Arriving and Departing: There are flights to San Diego with shuttles to and from Rancho LaPuerta for a fee. Tipping-While everything is all inclusive in a Rancho La Puerta package, tips are not. Bring enough cash to leave tips for room service and spa service. You cannot put it on a credit card. It is difficult to change large bills, so carry smaller bills to tip housekeeping, the person who carries your luggage to and from your room, and spa treatment practitioners. For more Mexico travel options see our Mexico-Travel page. Disculpe mi tardanza en contestar sus preguntas. Viajaba fuera del país. La mejor manera de obtener más información es ir a Rancho La Puera sitio web; http://www.rancholapuerta.com. Creo que hay un número de teléfono allí para llamar. Puede reservar para una semana o cuatro días. Aunque es caro, es todo incluido. Usted crea su propio itinerario; La única parte fija del día son las tres comidas, ya que se sirven dentro de plazos específicos. Espero que esto sea útil.